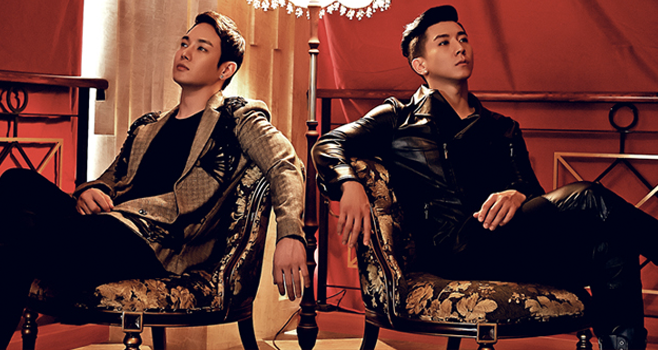 As their 2014 comeback shows, Fly to the Sky (FTTS) remains a potent force in K-pop, even after a five-year hiatus. However, even before the rumors of a comeback, the group was ever-present in the minds of fans, who recalled Fly to the Sky’s emotional impact and place in K-pop history. A review of 361 YouTube comments posted between 2006 and 2011 on videos uploaded to YouTube show a lingering sense of nostalgia for the group. These comments appeared on uploaded videos for “Day By Day” (music video), “Sea of Love” (performance and music video), “Condition of the Heart” (music video, performance and audio), “Missing You” (music video, performance and audio) and “Habit” (performance). vujonny89 stated that FTTS are the Korean version of BSB. And ForeverJunjin wondered y she or he chose BSB rather than NSYNC. I was explaining that being compared to BSB is a compliment. NSYNC was never really praised for the outstanding vocal abilities. They were more known for their dance songs than their vocal abilities. IMO, JC was the strongest singer of the group. BSB is considered by many as a true vocal/a capella group and have been praised for them. That’s what I mean. In addition to nostalgia, fans also recognize FTTS as a pioneer in K-pop and an influence on newer K-pop groups. Beating the odds that befall many K-pop idol groups, such as the so-called “five-year curse,” where male groups would disband or be dissolved by agencies in the light of mandatory military service, FTTS’s decade-long career is also reflected in its impact on other K-pop groups. Their songs have been covered by a variety of K-pop groups and singers. These covers not only show the group’s lasting impact, but also the way they bring new fans to FTTS. Perhaps owing to the time FTTS spend on the label, SM Entertainment artists tend to cover their songs frequently. Yesung of Super Junior and Jonghyun of SHINee covered Fly to the Sky songs at the SM Town concert in Los Angeles in 2010. MissAshleyCakes notes how the cover of FTTS’s “Sea of Love” changed her perception of the group: “If Yesung and Jonghyun wouldn’t have sang this song at the SM TOWN concert in LA I would have NEVER found this song! I was never a big fan of Fly To the Sky. I only knew 1 song by them.. But now that I’ve heard this song by them, I love them! They are an amazing band! BRIAN<3.” D.O of EXO and Ryeowook of Super Junior, covered Fly to the Sky’s “Missing You” during the SM Town show in Seoul in 2014, as well as on the Sukira radio show in 2013. haz reen writes: “I was looking for the original version of this song . And here I am. Big thanks to D.O and Ryeong who brought me here. I love both version ok.” Other artists cover Fly to the Sky songs as well. K-pop male group ZE:A, with the Star Empire Entertainment agency, performed Fly to the Sky’s “Missing You” live on MBC in 2014. “Missing You” was chosen for performance as part of The Voice of Korea television show. With frequent criticisms that K-pop is a fad or a passing trend, such comments during Fly to the Sky’s inactive period shows how fans feel a sense of nostalgia for K-pop groups. FTTS emerges as a foundation Korean R&B group, one that fans refer to with nostalgia and as elders to more contemporary idol groups. Image: “Fly to the Sky (Soompi),” Hallyu Harmony, accessed April 20, 2015, http://kpop.omeka.net/items/show/452. bgurl1210, comment on theaptidah, “Fly to the Sky – Sea of Love,” YouTube, June 20, 2006, http://youtu.be/CtkQ1F_Xe5c. hyegyo1, comment on uws, “Fly to the Sky – Missing You (Live),” YouTube, May 26, 2006, http://youtu.be/JrNLbMAK-kk. Amy L, comment on doolielove, “Fly To The Sky- Day by Day,” YouTube, January 6, 2009, http://youtu.be/uFhubvJhCKE. Jenny Leem, comment on uws, “Fly to the Sky – Missing You (Live),” YouTube, May 26, 2006, http://youtu.be/JrNLbMAK-kk. MissAshleyCakes, comment on theaptidah, “Fly to the Sky – Sea of Love,” YouTube, June 20, 2006, http://youtu.be/CtkQ1F_Xe5c. haz reen, comment on Kuiskaava, “[DL] Fly To The Sky – Missing You,” YouTube, January 13, 2011, http://youtu.be/tWTq_PMXfBE.